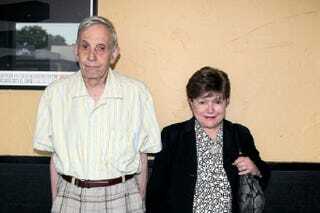 John Nash, the mathematician who inspired Sylvia Nasar’s book A Beautiful Mind and subsequent film adaptation, has died in a car accident. The 86-year-old Nash and his wife Alicia, 82, were traveling in a taxi on the New Jersey Turnpike. According to reports, the couple was ejected from the vehicle and they were both pronounced dead at the scene. Charges have not yet been filed and the accident is still under investigation. Nash won the Nobel Prize for Economics in 1994. His struggles with schizophrenia and the Nashs’ marriage were the subject of Nasar’s book.